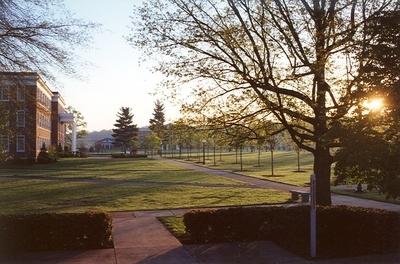 "The Mall seen in front of Bowman Hall." by L. Michael Hill Ph.D. The Mall seen in front of Bowman Hall. Note the Peace Pole in the foreground, a part of the design in front of the Alexander Mack Memorial Library.